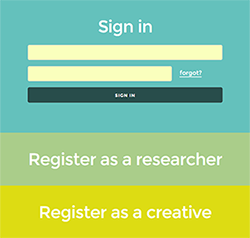 The Exchange is a national network connecting ECRs, from our partner Universities with creative and cultural practitioners. The Exchange includes a number of partner cultural organisations, many of whom have extensive memberships in their sectors and carry a national remit. They are: Fossbox; Independent Theatre Council; People Dancing and Sound and Music.